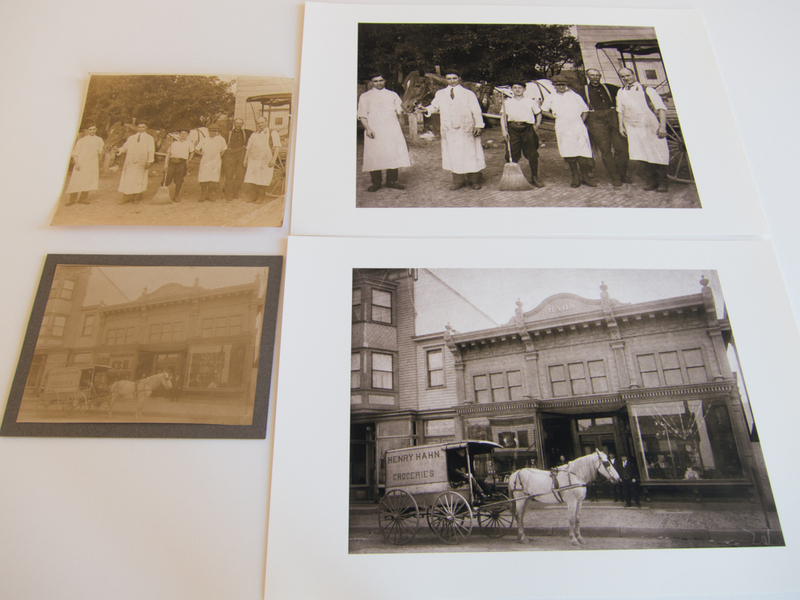 One of the thing we like to show is the print quality of our photo restorations. John is a master photographer of over 40 years, and making beautiful prints is an important part of that. His prints are in museums and we use the same quality paper, and techniques with our restoration prints. Archival rag (100% cotton) papers are used ensuring very long life of the print. We do not “over restore” a photograph and in turn making it look sterile; instead we maintain what we call an “age appropriate” look to the final image and leave all the filmic qualities in the original. Here are some photos that we restored and the resulting prints with them. 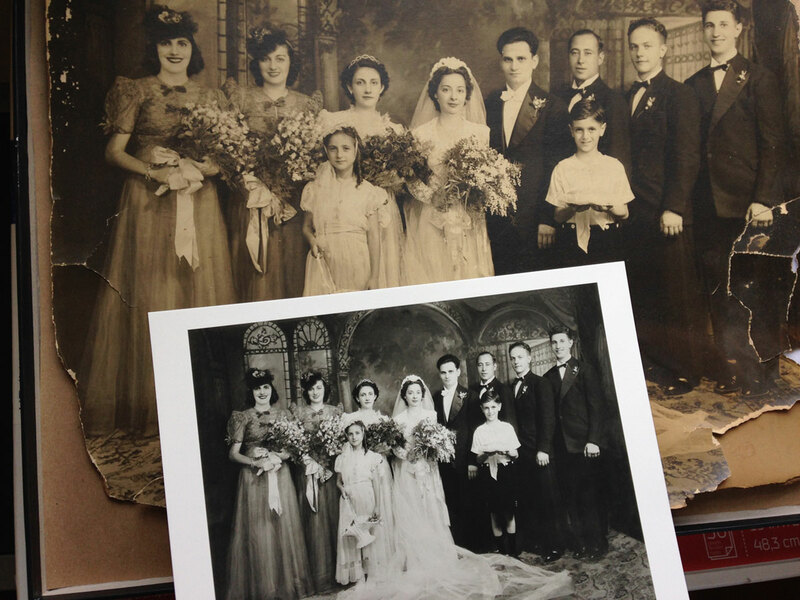 The final print for this wedding photo was the same size as the original, but this smaller test print shows the quality of the restoration, and was used as a gift for other family members. Entire sections of the original were missing, but we restored them back into the final photo. Original photos with so little detail were restored in to larger beautifully detailed photographs. The client were very happy.